For close watchers of Ghana’s microfinance industry, it must be a welcome surprise that it is no longer on the front burner of public attention. This is because nearly all the attention it got in 2015 and the first half of 2016 resulted from the misconduct of some microfinance institutions (MFIs) – many of them unlicensed, and ,therefore, unregulated – and the resultant spectacular meltdown that hit the industry and the deposits made with them by investors. 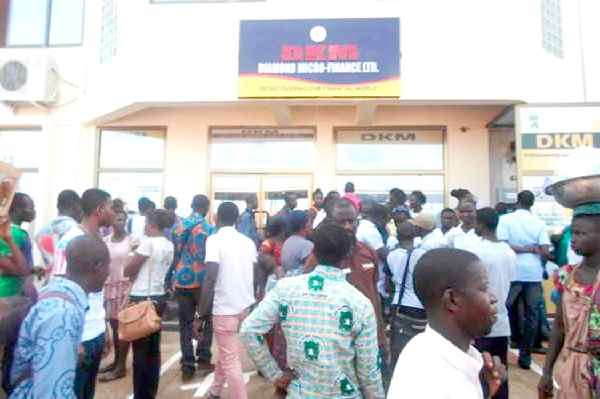 The only notable news generated by the beleaguered industry over the past few months had been the refund of some of the deposits made by investors with DKM Microfinance, a licensed MFI which had the most irresponsible management of them all and consequently collapsed in the most dramatic manner that Ghana’s financial services industry as a whole had experienced in decades. For the first time in two years, six months has gone past without any new spectacular collapse on an MFI. The sharply improving fortunes of the MFI industry derives from a combination of three broad factors. One is the enhanced diligence and closer attention of the Bank of Ghana as the industry’s regulator. Another is better corporate governance and more prudent financial management by MFIs themselves. The third is more caution and circumspection by the general public which has learnt the hard way that not all that glitters is gold. To be sure, the new found stability which has been achieved in Ghana’s microfinance industry is crucial to the performance of the economy and wealth creation among the populace, going forward. While the conduct of some MFIs has brought the industry into considerable disrepute, there is no doubting their usefulness in providing financial intermediation to the lowest market segments who have been largely ignored by the banking industry. As at the end of June 2015, just before the microfinance industry’s recent melt down took hold, licensed MFIs had combined total assets of GH¢1.29 billion, accounting for 1.7 per cent of banking sector assets. Of this, their loans and advances, totaling GH¢587 million, accounted for 45.5 per cent, while GH¢99.3 million or 7.7 per cent was invested in government securities. By mid 2015, the industry was holding deposits totaling GH¢946.9 million, thus financing 73.4 of their combined total assets. However, the recent problems have truncated the industry’s growth. By the end of last year, the BoG had licensed 546 MFIs located all around the country, but the central bank, as part of its wider measures to reign in the industry’s excesses, has since suspended the licensing or more. Actually, the BoG does not hold any of the duly licensed MFIs funds as statutory reserves although they are required to maintain specified levels of deposits with the banks they use for their cheque clearing house operations, as liquidity reserves. But some licensed MFIs have not done any better than the unlicensed ones, taking advantage of the obvious logistical complexities the BoG faces in monitoring and regulating hundreds of small MFIs located all around the country, some of them in remote rural areas. Which is precisely what DKM did. Having unfairly had to share at least part of the blame, the BoG had since moved to restore sanity to the industry, intensifying its regulatory framework and vigilance, while engaging in extensive financial education of the general public to enable them identify and avoid unlicensed or licensed but imprudent MFIs. First, it has suspended licensing new MFIs altogether. Considering the already too complex logistics of regulating the existing ones, this is a wise decision. Indeed, the central bank may need to start thinking along the lines of consolidation in the microfinance industry through mergers and acquisitions as it wishes for the commercial banking industry. That way, the bigger, better capitalised and most competently managed MFIs would be able to acquire the weaker, less prudently managed ones, thereby improving the capacity of the industry as a whole. Meanwhile, the BoG is overhauling its regulatory framework for the micro finance industry, considering its various options including even the possibility of establishing a separate, wholly owned subsidiary for regulating and supervising MFIs. Instructively, its subsidiary for establishing electronic payment systems, Ghana Interbank Payments and Settlements Systems (GhIPSS), has been a supreme success. Beyond all this, the BoG has engaged on a public enlightenment campaign. It has published a public announcement extensively in national newspapers which advise the public on how to deal with MFIs. It advises the public to deal only with licensed institutions which openly display their operating licenses, certificates of incorporation and certificates of commencement of business in their premises, and warns customers to desist from depositing funds with unlicensed companies. It also advises the public to avoid or at least exercise caution in dealings with MFIs that offer unusual or abnormally high interest rates, pointing out that the higher the return promised, the higher the risk. The public announcement warns that any person who solicits deposits from the public without a BoG license commits an offence and will be dealt with according to the tenets of the amended Banking Act of 2006. Similarly, advertisers of products and services of unlicensed MFIs could be charged for abetment. Importantly, the BoG recognises the urgent need to step up its financial literacy campaign as it pertains to microfinance, extending it to the rural hinterlands and local languages as well. Here, the most effective weapon to counter the malfeasance of unprofessional MFI owners and managers who prey on the ignorance and sheer greed of customers is to arm them with enlightenment. For now though, the storm seems to have passed, albeit at great cost to some customers and the reputation of the BoG itself although the latter phenomenon is thoroughly undeserved. It is ironic that the central bank that has been made the scapegoat for the malfeasance of some MFIs and the indiscretion of their customers is now being looked up to ensure that it never happens again.